Restaurant Gilaneh München | Die persische, kulinarische Küche perfekt serviert. 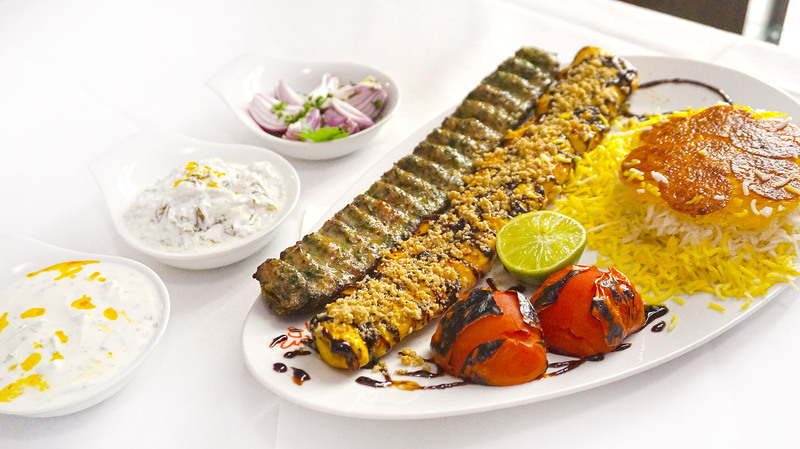 Quality of food, rice and Iranian kebab is perfect. Service is also good and inside atmosphere is also relax. Price is a little high, but reasonable. The food and atmosphere was very good. A little bit expensive. Lovely staff with exceptional foods. Highly recommended if you'd like to taste something different. The restaurant has a really nice ambiance and the service was very good. We tried “Baghala Ghatogh” and “Mirza Ghasemi” as appetizers. Baghala ghatogh was very far from the original dish (the beans were not the ones suitable for this dish and the dill was not fresh and the texture and density of the dish was not even close to the real one) and very low quality, full of oil (literally floating about half of the bowl). Mirza ghasemi was tasty, but again very very greasy. As main dish, we tried “Kabab torsh”, “Djudje torsh”, and “Kabab koobide”. I think among the Iranian restaurants in Munich, the rice (with fresh Tahdig) and the kababs were quite nice and tasty. I wouldn’t recommend the appetizers, but the four stars are for the main dishes and the restaurant itself.